Trending at C $275.31eBay determines this price through a machine-learned model of the product's sale prices within the last 90 days. With a Batman logo logo to decorate your walls, so that everyone knows your outspoken loyalty lies with the magic of the family decoration in the famous black knight shape under the logo, you can capture your reflex Or illuminate a room. Accentuate your decor with this this intricately detailed brass mirror from Fez. This piece has been completely crafted by hand. Moroccan brass work has a big place in the Moroccan handcraft. Fifties Sixties Seventies Modernist Mid Century Modern Design interior. It is a fantastic piece of Mid Century design. 20th Century! Up for action this week is a. Artdesigncollectibles Presenting this week a very nice. Great item for your collection. 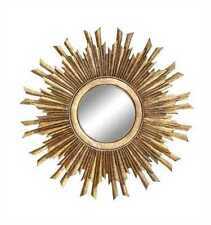 French Sunburst Starburst Convex Mirror. Expo 58 Atomic. fifties sixties seventies modernist mid century modern design interior. It is a fantastic piece of Mid Century mirrors. 20th Century! 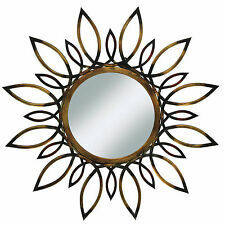 Mirror only 30 cm/11.87". Fifties sixties seventies modernist mid century modern design interior. It is a fantastic piece of Mid Century mirrors. 20th Century! Up for action this week is a. USA,Russia - 40 USD. France,Germany,Luxembourg and United Kingdom 19 usd. Fully hallmarked with the sideways Lion for sterling silver, the anchor for Birmingham and the date letter q for 1915. 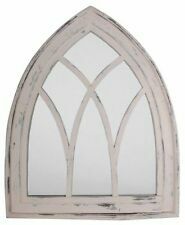 This beautiful wall mirror is framed with inlaid bone and hand embossed brass metal on wood. Our framed mirror is decorated with dyed bone. It has two doors that you can either open or close. This magnificent unique Hamsa mirror is an exceptional piece for your entry, hallway, bathroom or living areas. The front door can be opened to utilize the mirror underneath, and closed if desired, when not in use. You are looking at a 17" Nautical Aluminum Rust Finish round porthole with Mirror. You are looking at a 17" Nautical Aluminum Green Finish round porthole with Mirror. You are looking at a 15" Nautical Aluminum Green Finish round porthole with Mirror. Vintage Home Decor-French Style/Shabby Chic Ornate Wall Bedroom Hallway /Mirror. Mirrors are magical enhancers for your house. Put one into a tiny room to make the room larger, or place a row of them to make a drab little kitchen elegant. Whether theyre shaped like Batmans bat signal or dressed in gilded frames, there is a mirror for everyones taste. The best way to hang a wall mirror is to find a stud or two and hang it there. You can do this by using a stud finder though with research or experience, you can find a stud by knocking on the walls or using a measuring tape. 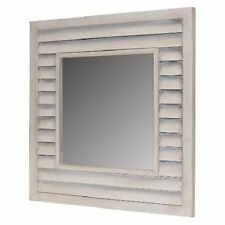 Heavy wall mirrors should be hung like pictures with clips, brackets, anchors, and screws. 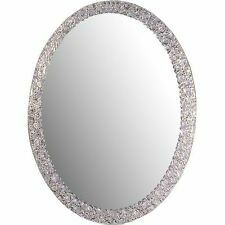 Small, light wall mirrors can be mounted with mastic. Some small wall mirrors come in sets that you can mount in any way you want. Are there different types of mirrored glass? Float: This is made by floating molten glass over molten metal. Plate: Both surfaces have been ground and polished to the point where visual distortions are eliminated. 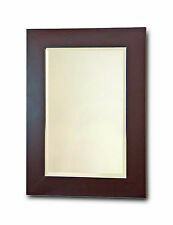 Plate is always one quarter inch thick and is used on high-quality wall mirrors. 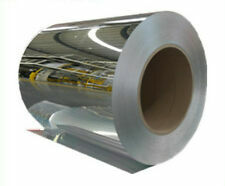 Sheet: Sheet is not polished like plate is, so there can be some distortion. It comes in several thicknesses, and some antique wall mirrors are made from it. 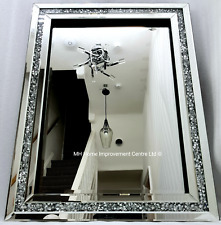 Antique is also a term used to describe a decorative wall mirror whose silver has been treated to give it a smoky look. 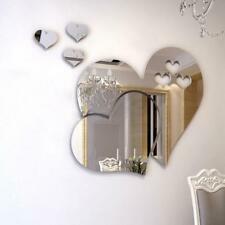 Where can you put a mirror in the home? 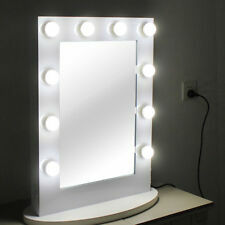 Increase the power of a lamp by placing it in front of a mirror. Place a mirror on a wall facing a window with a beautiful view and double the view. Put a full length mirror on a partition in a room. 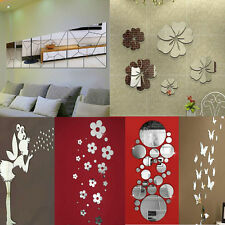 It will make the partition vanish and make the room seem more spacious. Make beams and unattractive architectural details go away with a well-placed floor mirror or two.